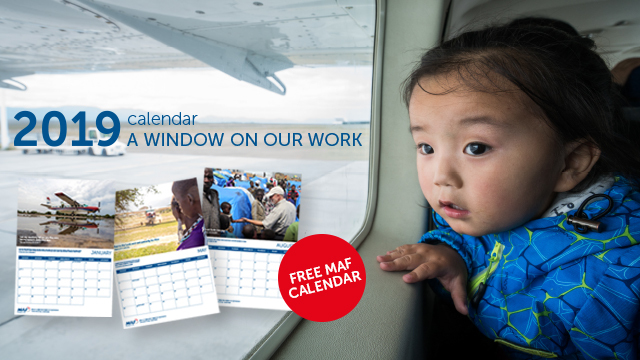 Please fill in the form below to receive your free MAF Calendar 2019. *Please note this offer is only available to residents of the UK & the Republic of Ireland. Please allow 10 days for delivery. Find out what it’s like to work and serve in some of the most isolated places in the world. Tick the box and, over the course of a year, you will receive a series of inspiring communications by post featuring updates from our pilots, real-life stories and fascinating facts. Your first stop… South Sudan! MAF’s Discovery Journey communications are currently only available by post.